New research suggests that so-called cannabidiols or CBDs are found in plants grown for fibre or seed grain and they can treat a wide range of medical problems including serious forms of epilepsy. But under Australian law, growers cannot harvest this material unless they are licensed by the Federal Office for Drug Control under strict security conditions. Last January Health Minister Greg Hunt gave the green light for a medical cannabis industry in Australia. Since then 19 licenses have been issued for medical cannabis cultivation and another 13 for cannabis narcotic manufacture. But fewer than a thousand Australians have access to cannabis medication through their doctors and none of the imported products they have used are clinically proven. The all-powerful American Federal Drug Agency only approved its first prescription medication derived from cannabis in June. 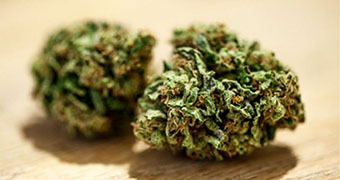 Epidiolex has been found to reduce seizures in paediatric epilepsy. Some of Australia’s largest producers of hemp seed food say the current laws shut them out of a potentially lucrative nutraceutical market where CBDs are sold in whole-of-plant cannabis extracts. The products would have low levels of tetrahydrocannabinol or THC, which is the mind-altering cannabinol. CEO of Hemp Foods Australia, Paul Benhaim, said his parent company Elixinol Global, sold CBD products without restriction in the United States. “What we sell in the US is hemp derived CBD supplements, which can be sold over the counter, it’s sold in health food stores, it’s completely safe for many people to consume,” Mr Benhaim said. “When we talk about 5,000 years of historical evidence of cannabis being used for medicine it was always high THC in various doses, whereas it’s quite clear that industrial hemp derived cannabinoids weren’t really considered as a medicine,” Mr Kavasilas said. 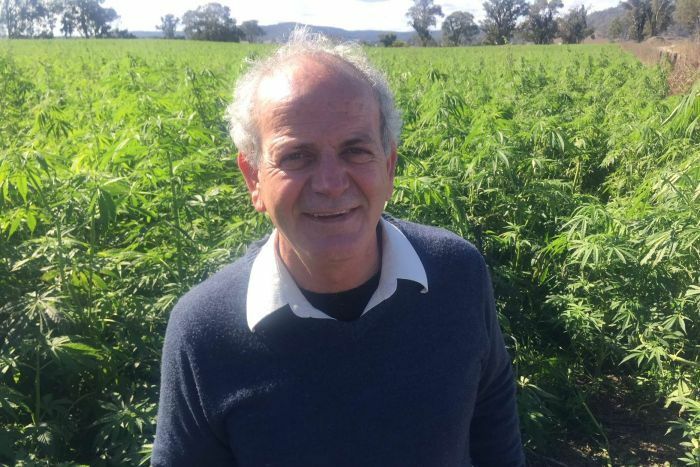 One of Australia’s most experienced hemp producers is Phil Warner, who has been growing and manufacturing products for more than 20 years. In 2014 he relocated his company to Kentucky in the United States because he believed Australian politicians were thwarting the development of the industry. In 1999 he launched the first application for hemp food to be legalised in Australia, but governments then ignored nearly two decades of recommendations from Food Standards Australia and New Zealand that it be approved. In Kentucky his company Ecofibre took on new partners and developed fibre products and a nutraceutical for a booming US wellbeing market. “What you look at in the [United] States is a whole-of-plant extract, which is a bit like echinacea or any other sort of nutraceutical plant based wellbeing product, but in Australia you’re not allowed to harvest this unless you’ve got it behind a 12 foot fence and barbed wire and dogs and swipe cards and all sorts of stuff,” Mr Warner said. 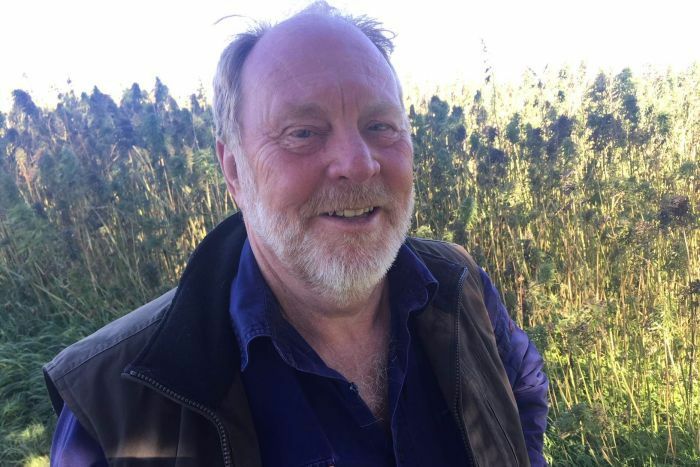 The 66-year-old retired from Ecofibre this year and returned to Australia to develop a hemp research foundation but he said politics was again limiting the industry’s potential. Hemp growers in Australia were struggling to compete against cheap imports from China and Canada but if they could exploit the CBD’s in their low THC crops they could develop a profitable industry. “Australia has a wonderful opportunity here, we have from latitude 16 down to 42, we can grow crops on a continual basis throughout the year, harvesting in the south, moving all the way to the north throughout an eight month period,” Mr Warner said. “We can produce better product than anybody else can but if it has to be behind a 12-foot barbed wire fence with security guards, lights and swipe cards to get in and out — it’s not going to happen. Health Minister Greg Hunt’s office declined to answer questions but his department said Australia was bound by the United Nations Convention on Narcotic Drugs which prohibited cannabis extracts from being used for non-medical purposes. CBDs were now scheduled as prescription only medicine, a spokesman said. By some estimates up to 100,000 Australians are now using medical cannabis products illegally. The United Nations will conduct its first review in November of marijuana’s classification under international drug treaties. It follows a report by the UN World Health Organisation which found that pure CBD should not be scheduled as a dangerous narcotic.